Teens & Tools; YWITT talks Trades for Young Women! 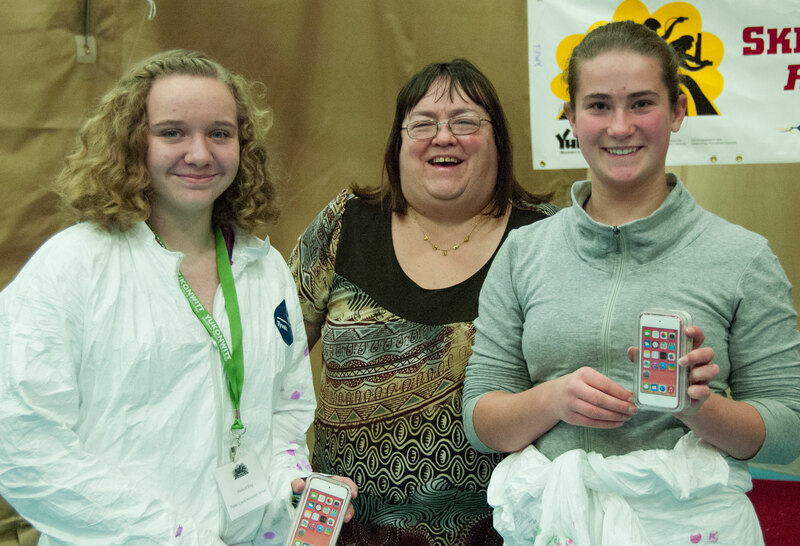 For 15 years, Yukon Women in Trades & Technology has championed opportunities for young women to learn up new skills and gain confidence through the annual Trades Exploration Conference. The event will take on an exciting new shape this year as the girls experience skill building in real work settings.YEU has proudly supported their annual Young Women Exploring Trades event for many years; we are excited to be part of building choice for Yukon’s next generation. If you know a Grade 8 girl please make sure she knows about the YWET Trades Exploration Conference taking place October 15 & 16 in Whitehorse. Yukon businesses will open their doors to these future tradespeople all across Whitehorse, offering a varied menu of trades to try. They can choose to try their hand at carpentry or Environmental testing, explore career paths in the flight industry, learn what it takes to be a paramedic, an esthetician or a welder. Perhaps communications & computer programming, RV mechanics or culinary pursuits will capture the imagination and spark a rewarding, lifelong adventure in the trades. For more information on the YWET 2015 Trades Exploration Conference, please visit yukonwitt.org. YWITT is a non-profit organization that encourages girls and young women to consider and pursue careers in the skilled trades. 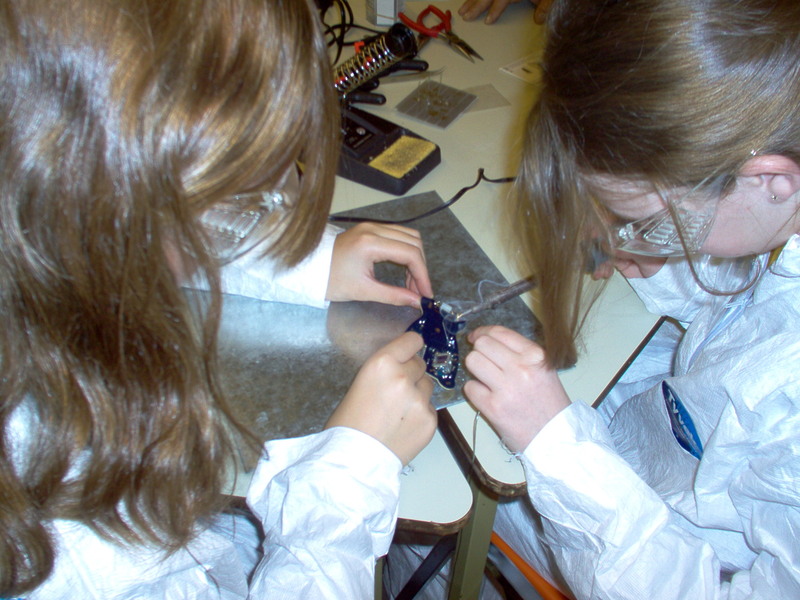 YWITT offers programming opportunities to high school girls that expose them to a multitude of trades in a safe and supportive environment under the direction of skilled tradespeople, who are primarily women. YWITT provides financial support to Yukon women apprentices through a bi-annual bursary and opportunities to instruct young girls and women. They also partner with other sector partners and industry to provide community-based programming. If you have an illness, injury or disability that impacts your work temporarily or long term, you may require an accommodation, need extended leave and/or disability benefits. Accessing any of these requires documentation, including proof of your medical circumstances. If your employer requests an Independent Medical Examination or IME, there are a few things to know. An IME is an examination by a medical professional who does not have a therapeutic relationship with the patient. Often, the IME doctor is a specialist chosen by the employer, and there is a contractual obligation to provide a report to the Employer on their findings. When is an IME requested? Your employer may request information to determine that your illness or disability is genuine and the impact it will have on your attendance. As a last resort and where the Collective Agreement allows, your employer may require you to attend an Independent Medical Examination (IME) at their expense. Why can’t I just provide a Doctor’s note? Doctor’s notes that say “Can’t attend work for medical reasons” or “off work for 30 days” or “patient needs new supervisor” are not well received. The Union often hears of employees denied access to their sick leave benefits because their medical notes are seen as insufficient to prove they are or were unable to perform their duties because of illness or injury. Similarly, notes that reflect numerous restrictions may compromise the employer’s ability to accommodate the employee. When a medical certificate is requested, it should confirm a bona fide medical condition, provide information about the nature of the condition, explain your prognosis as it relates to the workplace and your return to work, and list any restrictions or limitations on your ability to perform your duties. Ideally, your medical practitioner will provide objective medical evidence about your limitations as they relate to your job so that your employer can respond with a reasonable accommodation or help you access disability benefits. Do I HAVE to provide an IME if they ask? You can refuse to attend an IME, but this may result in delays returning to work or denial of sick leave and other benefits. When an employee is dealing with multiple or chronic medical conditions, a mental health issue, a substance use issue, workplace conflict or when there is a mix of culpable and non-culpable behavior, it can be more difficult to identify the medical restrictions without breaching the employee’s privacy. If you are asked to provide consent to the employer to speak with your doctor, you should preview the questions the employer wants to ask and limit your written consent to those questions. Do not consent to open questions such as “please explain…”. ASK QUESTIONS! Who will get to see my information? How will my information be used? •An IME can be invasive and should only be requested as a last resort, where other appropriate medical queries have not resulted in sufficient information to explain ongoing absence or develop an accommodation. •Many Collective Agreements oblige the employer to follow the recommendations in the report, which may not be consistent with your preferences. •You are entitled to your privacy. Your employer does not have the right to information about your diagnosis, test results or your medical history. •The employer does not have the right to share your medical information without your expressed, specific consent. When medical issues affect you at work please contact us. Let us help you navigate the system and protect your rights. Be part of PSAC’s Union Development Program! This is a guest post from YEU Director & Local Y010 President Tammi Sikorski. Derek Yap and I were selected to participate in PSAC’s Union Development Program (UDP) 2015. We are part of the North/West class of 24 participants, joined by an amazing team of 4 facilitators including our own Barb Fayant who works in the Whitehorse PSAC Regional Office. The first step of our six step, 9 month program was a facilitated phone call where we were introduced to the program and each other. We were given various reading and research assignments and were asked to survey our members in the hope of getting to know our locals better. What an eye opening experience that was! As President of Local Y010, the exercise of Getting to Know Your Local was great. It really drove home how much more work the local and the Union needs to do to educate and engage our members. Step 2 took us to Winnipeg, MB for our cohort’s first face to face meeting. Over 4 days, we met with our facilitators and other participants, all staying in the same hotel. Thanks to our Facebook profile photos, introductions were quick and easy! Some of the participants already knew one another from other meetings, conventions and through our union involvement to date but I have to say the bonds formed quickly after our first day in class. I know these bonds are going to last a life-time; I know that from previous UDP participants and I can now say I know this from my own first-hand experience! The weekend flew by; long days of leadership development, networking and classroom work led (naturally) to socializing and working on those life-long bonds in the evenings. The weekend flew by; long days of leadership development, networking and classroom work led (naturally) to socializing and working on those life-long bonds in the evenings. While in Winnipeg, the class decided to visit the newly constructed National Museum of Human Rights. We asked the facilitators to reconsider the agenda to include a trip to the Museum. Unions advocate for ALL human rights; it would have been a disappointment not to see the museum. The program facilitators arranged a 2 hour tour of this amazing and inspirational museum – if you’re ever in the ‘Peg – be sure to go! We joined a march to the VIA Rail station in downtown where we got to listen to Sister Robyn Benson, National President of PSAC speak to us from the back of a pick-up truck on the side of the street. We were 70 people strong walking the street in front of the building, waving flags and carrying signs, showing solidarity with other Unions. It was an experience I am honoured to be part of. We also started thinking about our Action Project to be completed along our UDP Journey. We covered strategic planning, campaign tactics and using the leadership skills we have learned throughout this course. Step 4 brought us to Ottawa for a conference with 56 other activists in the PSAC UDP courses from Coast to Coast to Coast. Derek and I joined the English East and the Francophone classes. While we were in Ottawa, we learned of 2 very important rallies taking place on Parliament Hill. Once again we changed our agenda to make the course our own, and those who chose to participate in the rallies were able to do so. A UDP Action Project is worked on by all participants at the National level. Just before the rally was set to begin, we met to discuss what our project might look like. The room was full of ideas and suggestions on what form the action project for UDP 2015 should take and some great ideas were tossed around. While some members attended the rally protesting Bill C-51 with 100s of other people on Parliament Hill, others debated the action project. For those of us who marched, the Rally was a powerful experience; invigorating and refreshing. When we returned, the National Project had been decided upon: Bringing Social Justice Home. I am VERY excited to be part of this. On our last day in Ottawa we chose to use the “Art of Protest” to educate and engage. We broke into smaller groups and used many forms of art to get our messages out. We explored flash mobs, story-telling, improvisational street theatre, life-sized puppets, poster making, and song writing. We all got to be creative and think outside the box, laugh and see the benefits of learning and engaging others with emotion. The UDP is a different program this year than it in the past. We are the pilot group and it is a great experience to be a part of a new process and new traditions. My fellow participants are helping to shape the new UDP – and it is great! If you believe you have it in you to be part of the new Union Movement in Canada I urge you to apply for the PSAC’s Union Development Program 2016 when the call goes out in September 2015… it is an ongoing series of life changing opportunities and experiences. Grab the chance! Visit the PSAC site (follow this link), learn more and apply TODAY! Get the support of your Local’s Executive and the YEU leadership and help shape the union of tomorrow!